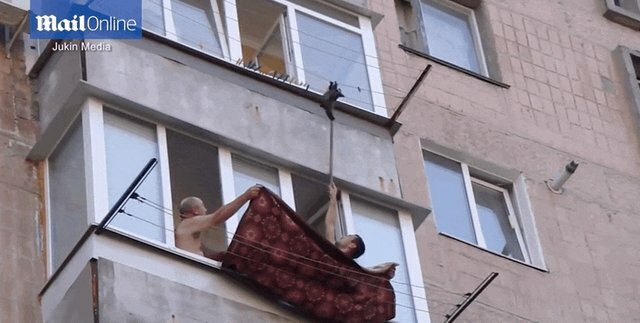 After a tiny kitten was heard crying loudly outside a Russian apartment building on Wednesday, two men discovered the little guy hanging on for dear life from a clothesline above their window. 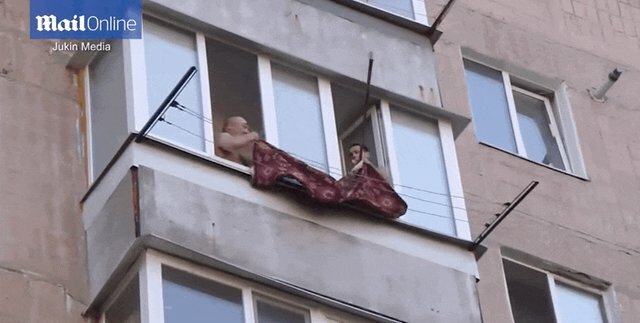 In order to help him, they had to get creative, using some simple things they found lying around the house - a rug and a broom. The kitten seemed terrified at first and likely confused about who exactly was poking him with a broom. So, he proceeded to cry louder. 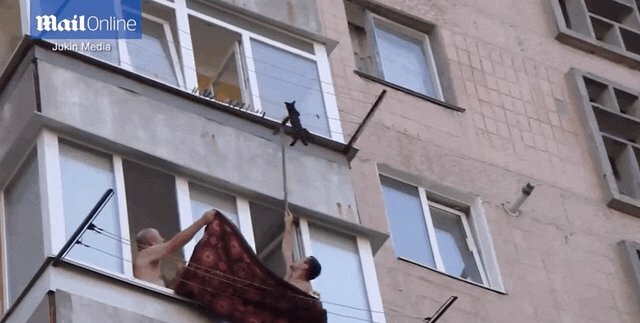 After a little while, the men were able to knock the kitten free from his precarious situation ... and catch him safely in the rug. They then rolled the little guy up and pulled him inside to safety. It just goes to show that helping someone in need doesn't have to be complicated - and I'm sure the teeny kitten is super grateful for it! When helping an animal in need, it's important to make sure the situation is safe before proceeding, so you don't put the animal or yourself in more danger.